Pioneers in the industry, we offer modular kitchen cabinets, modern modular kitchen and laminate kitchen from India. 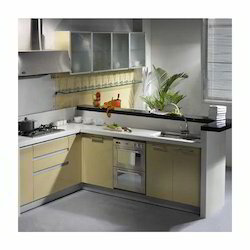 We bring forth an outstanding range of Modular Kitchen Cabinets, which is manufactured using high-grade stainless steel. Resistant to corrosion, these possess high demands in the market. The offered range of kitchen cabinets is also known for its attractive designs. Acknowledging the various demands and requirements of our clients, we offer customization as per the specifications provided by the clients. 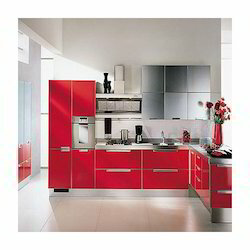 We are listed at the apex for manufacturing and exporting Modern Modular Kitchen. We make use of high-quality wood and plywood and hence assure the quality of the products to our clients. The countertop material is inclusive of artificial marble, artificial granite, and artificial quartz as well. Moreover, conceding to the diverse demands of the clients, we offer customization as per the requirements of our clients. 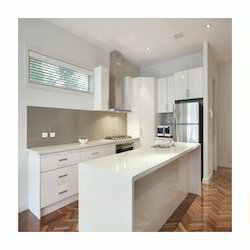 We are one of the few names to offer supreme quality Laminate Kitchen. Known for its exquisite design, it is highly popular in the market. Owing to the fine finish, it is widely applauded among the customers we have. Subjected to quality checks on various parameters, we assure the utmost quality of the laminate kitchens we offer. Looking for Modern Modular Kitchen ?